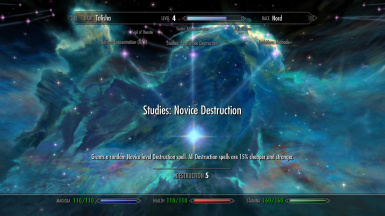 A mod that defluffs PerMa's perk trees for easier reading and actual information. Stealing is bad. Don't. If you have a legitimate reason for reuploading this, contact us first. All file credits are listed in the description, under Credits/Bug Reporting. Included the Ranged Weaponry patch for Extended UI users, and updated the installer dialogue to match. Went over the perk descriptions again, correcting more minor spelling and grammar issues that slipped through last time. All of the broken apostrophes were taken out back and shot. Formatted the included readme a little more nicely for your reading pleasure. Reorganized the available modules again. Now Mage is included in all options (since the perk changes can be included in non-Mage PerMa installs without issue) and shrunk the number of options to four. Made several perk text tweaks to correct spelling, word use, and improve consistency. Removed conditional references to PerMa modules e.g. "If PerMa's Warrior module is installed..." Now those perk descriptions should only include effects enabled in that PerMa setup. Consider using the Extended UI mod by MrJack. While the defluffed perk descriptions are probably short enough to fit within the default skill UI, using Extended UI makes sure nothing will just be cut off mid sentence. Plus it's better than the default perk UI anyway. Perkus Maximus is cool and all, but sometimes it's nice to actually know what the the perks do without having to Alt-Tab out to read the documentation, then your game crashes after tabbing back in. Damn you Papyrus! FluffusMinimus cleans up perk descriptions across all trees to be easier to read and grammatically correct, occasionally offering more information about the perks as well. While accessing the documentation will still be necessary for finding out very specific details or what a spell or ability will do before getting the perk, all the most important information is still in the perk menu. What this WILL do: change perk descriptions to include the hard stats, much like the vanilla perk descriptions do, without all the monocle-speak. What this WON'T do: include information not relevant to the perk itself. 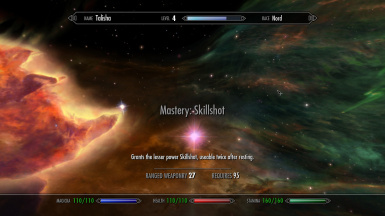 For example, a perk that grants a spell, toggleable ability, etc. will only inform you of the name of the spell it grants. Including the spell's functions, limiting factors, etc. in the perk description would more often than not just take up too much space, often so much that it's impossible to fit in the perk description at all. Either #YOLO and get that perk, or find it in the PerMa docs so you can make an informed decision. Install using your favorite mod manager. The FOMOD installer should be self-explanatory. Patchus Maximus doesn't have to be re-run, as this doesn't affect anything meaningful. If installing an option covering Warrior and/or Thief, ONLY INSTALL THE OPTION MATCHING YOUR PERMA SETUP. If you install an esp that references a PerMa module you don't use (e.g. you choose one that defluffs the Warrior perks but don't have PerMa's Warrior module installed) you'll most likely CTD due to a missing master. Make sure to read the installer option descriptions if you're confused. 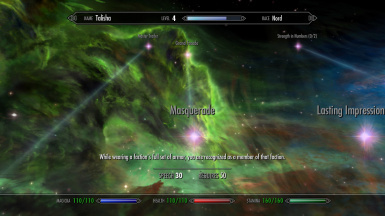 Thief and Warrior both contain a small number of modifications to vanilla perks, meaning if you installed one of the corresponding Fluffus Minimus files without using one of those modules, you'll ruin some of those perks. This is why Thief and Warrior are master dependencies in the Fluffus Minimus files. Mage is an exception; all of the magic tree perks are entirely custom perks, so Mage is not a master dependency in any file. Regarding load ordering: If using LOOT, simply modify FluffusMinimus_<version being used>.esp's user rules to include your installed PerMa modules in the 'Load After' field. I know LOOT tries to handle unrecognized plugin ordering on its own, but you might as well make sure it can't ruin anything. If you're using the Boss Userlist Manager, I assume there's a way to do that too. Manual placement works just as well but adding the user rules makes load ordering easier in the future. Won't be compatible with anything that makes changes to perks modified by PerMa, with some very limited exceptions. Either this mod's text changes will get overwritten, or the other mod's changes will get overwritten. That is to say, any perk overhaul mods are probably going to break horribly. FYI, there are some exceptions to this rule that largely involve how your PerMa installation is configured, e.g. installing Smithing Perks Overhaul - Remade and Updated won't destroy literally everything if you're not using the PerMa Warrior module. Any mods advertised as compatible with DevilDuke's PerMa Extended Perk Descriptions, or GioGr's PerMa Defluffing Perks, are compatible with this. Either load the compatible mod after Fluffus Minimus or use its supplied compatibility patch, if it has one. 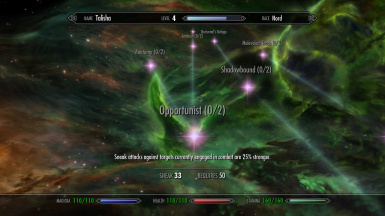 If you find an incompatible mod that you think I should make a patch for, post about it so I know that other mod is a thing that needs patching for. This mod contains no scripts or anything else game-breaking, so it can be uninstalled or updated at any time without any special preparation. In-place updates don't require any special prep or anything. Uninstalling won't immediately break your save, but if removing the plugin causes your load order to change (i.e. if FluffusMinimus_whatever.esp loads anywhere before your dynamic patches) then you'll probably want to re-run those. In the event of a PerMa update that tweaks the perks, you'll want to deactivate this mod in your load order if you want to play right away, as said changes will be overwritten by the older data in Fluffus Minimus. You should wait for this mod to be updated to match before reactivating it. TBT - Edited all the perk information into the text as you see it in-game, current maintainer. TheLolrus - Compiled all the perk changes into the mod. Rinobi - Suggested a much better format for describing perk effectiveness scaling. DevilDuke - First one to notice the broken skill requirements for Ranged Weaponry in Extended UI, used here in version 1.3.1. T3nd0 for creating Perkus Maximus. Jalapeno kettle chips and the bands Rosetta and Horseback for making editing all the perk descriptions a bearable process. Facepunch, for rating this idea with more than one Agree making it worth following up on. Note that all the changes made in this mod were done by reading, and sometimes interpreting, PerMa's documentation. The docs, while usually pretty clear, aren't always that way. 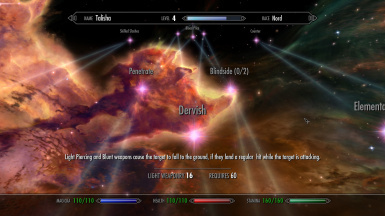 Sometimes a perk's effects are written in a way that makes it difficult to recreate accurately in defluffed form.This could be a problem on our end, in which case please provide the correct info so we can change it, or it could be related to an issue in PerMa itself, in which case it'll most likely get fixed when PerMa updates. If it's something on us, whether it's something that's actually broken, a description that isn't accurate or is in the wrong place, something you just think could be written better, etc. make a post about it and we'll get it sorted.